Strictly speaking, the fabric bags are not absolutely water proof even though the fabrics itself can be water repellent, due to the restrictions of zippers , sewing switches and bag structure. Such fabric bags can be resistant against temporary drizzle or sudden water splash, but consecutive long time use in rain could possibly have water ingress. 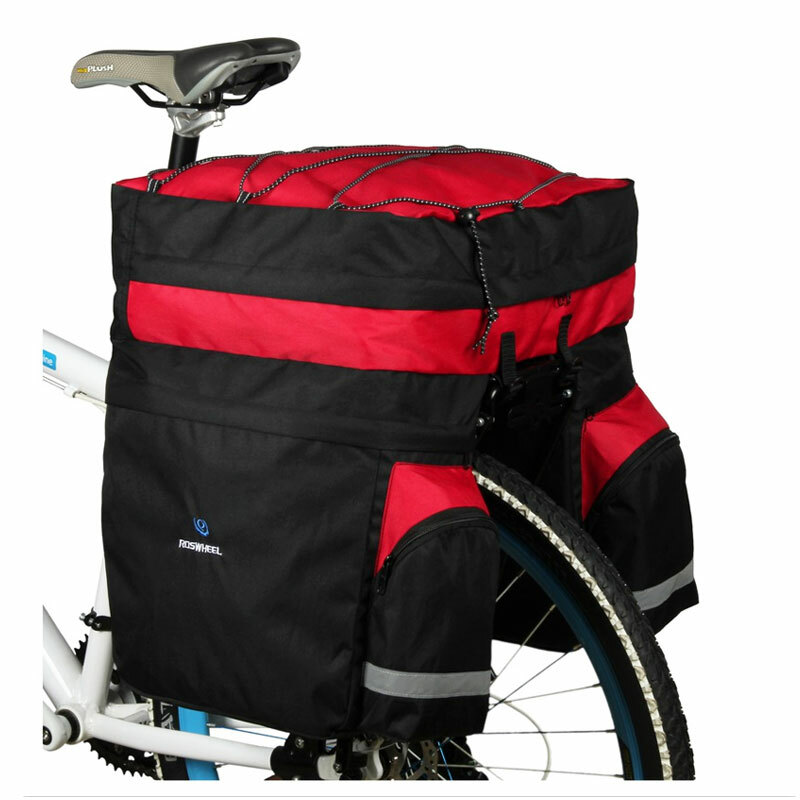 For a desirable ingress protection, the best way is to use rain covers for such bags. Do refer to the size in number description for consideration. We provide the size in accurate measurement as much as possible, please be noted that the different way in measuring could result in some minor different readings because the material is soft by nature. The graphics or pictures are for your kind reference only, size might vary in visual effect because of the picture shooting angle, bicycle size or ambient items in comparison. We have color description in both wording and picture, but the color you see might be slightly different from the items you receive. This is mainly caused by the color index variations at camera and the display screen of computers or mobile phone. Such minor different color difference will not be accepted as base to support dispute against product quality defects. Thank you for your time and wish you pleasant shopping!